IDrum turns any Macintosh computer into a slamming beatbox ready to lay down your grooves, your way. From ambient downtempo to bangin' hip hop to frenetic drum and bass, iDrum has got your back (beat). iDrum comes with hundreds of dope drum samples arranged into hundreds of iDrum files, each with several preset patterns programmed by some of the best beatmeisters working today. But these beats are just the beginning -- since you can mix and match parts and samples between kits, and even load your own AIFF and WAV drum samples, the possibilities for beat creation are virtually endless. 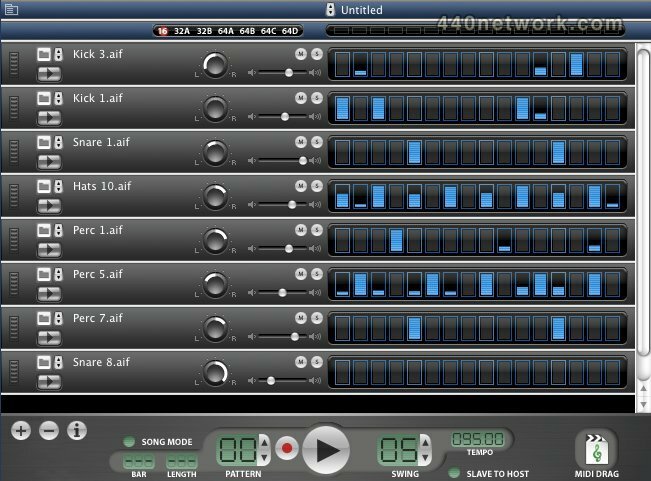 For drum sequencing this is just an okay app for me. I started with this several years ago and it has provided some interesting parts. There haven't been any noticeable user updates since the apps introduction and one thing that really bothers me is the limitations when working with time signatures or 2 bars patterns. For example if you have a bar of 7/8 the app won't display the whole bar on a single page. This is time consuming and bothersome. I suggested this fix many times but, I guess it's a matter of what does one expect for $60. The sound and ad paks are interesting though, but unfortunately can't be applied to other drum sequencers. This seems to be more for fun than work flow as the song creation page is cumbersome to work in and appears to be more intended for use of 1 bar patterns. 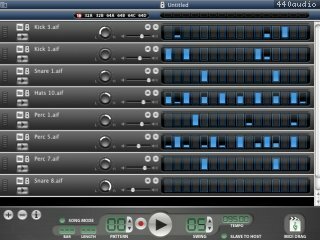 The individual instrument editing is easy to use and can be used to create interesting new sounds but overall, if you want slammin' drum sequencing go and get Addictive Drums or BFD2. This should do well on the iPhone. Excellent Drum plug-in. I would give it 5 stars if it supported more time signatures!